A proposal to increase the speed limit on Belgian motorways from 120 to 130kph has met with opposition on both sides of the language divide. Wallonia's Road Safety Agency has become the latest body to speak out against the speed increase, which has been put forward by federal mobility minister François Bellot. Walloon mobility minister Carlo Di Antonio is reluctant to see the limit rise and the Flemish government is also against the idea. Belinda Demattia, from the Walloon Road Safety Agency (AWSR), said: "The biggest argument against this measure is that it will increase the number of accidents and their severity. Speed causes accidents and also aggravates the consequences. So there would be more victims." 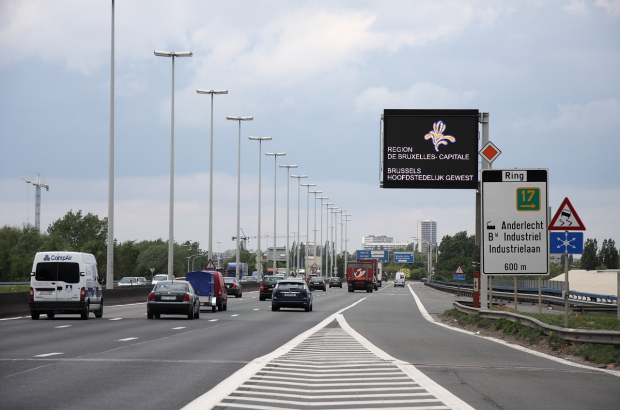 Inter-Environnement Wallonia is also against 130kph. "At a time when the government is committed to reducing the number of road deaths and greenhouse gas emissions, the answer has to be no," it said. The two organisations say the motorway infrastructure does not lend itself to higher speeds, adding: "Our motorways are different to those in France and Germany. There are many more entry and exit slip roads, which are accident black spots." They point to Spain, where a speed limit reduction from 120 to 110kph in 2011 led to a 34% decline in fatal accidents and better energy efficiency. Meanwhile, new federal police figures show the number of drivers receiving driving fines grew by 27% last year to total 1.6 million. More radars placed at roadwork sites were the biggest contributor to the increase. A fixed speed camera on the E40 in Ghent recorded 281,677 violations alone. From 1 March, the Belgian postal service Bpost will take over responsibility for the recovery of road fines. The aim is to reduce the administrative burden on police, the prosecutor's office and courts. "This project will release 270 police officers who will be able to devote themselves to looking out for more offences," said justice minister Koen Geens. "...The two organisations say the motorway infrastructure does not lend itself to higher speeds, adding: "Our motorways are different to those in France and Germany. There are many more entry and exit slip roads, which are accident black spots." They point to Spain, where a speed limit reduction from 120 to 110kph in 2011 led to a 34% decline in fatal accidents and better energy efficiency..."
Speed itself does not cause accidents. It's disappointing that the authorities blindly focus on speed reduction, while completely ignoring insane tailgating, inappropriate speed in places with poor visibility, driving through red lights, watching videos while driving, etc, etc, etc. Speed itself makes accidents far worse when they do happen. It's a ridiculous idea, which stands no chance of being implemented.